• We check the benefits and eligibility of patient if (s)he is eligible with provided information. • It ease out the claim filing process by having all the correct data verified before physician renders service. 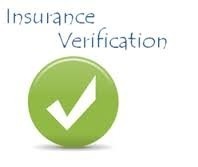 We support Insurance company by Online/Offline Insurance Verification services all over India. We have team of doctors and Support teams to perform the task. For any assistance feel free to revert us. Our entity is rendering Insurance Verification Services. It's one thing to source a product and get a price. But the most important thing is to source a product from a reputed manufacturer, with genuine experience along with the relevant certificates and getting it understand to meet up with exact requirements. According to industry sources, 75% of all health care claim denials are because a patient is not eligible for services billed to the insurer by the provider. Often, a patient would be ineligible for benefits because his or her policy has been terminated or modified. The patient list, a copy of the insurance card and demographic details are sent to us via email/fax or secure FTP. Our medical billing specialists call up the insurance company prior to the appointment. Pre-certification is done for specific lab tests, diagnostic tests and surgeries. The details are sent to the hospital/clinic in the prescribed format. I.H.S. has a dedicated team for Insurance Verification to check Patient eligibility even before the claims are submitted to the carriers. Every information is recorded in the respective patient account for future process. Carry out a thorough Investigation on Insurance Claims to verify the authenticity. ACE is a major player in the field of life and general insurance investigations by leveraging its more than two decades of experience in investigation business. Realizing our expertise in the field and huge potential of the market and need of the insurance sector for quality investigation We have worked for organization like TATA-AIG, IFFCO-TOKIO, SBI Life etc. TransVista has risen as a major player in insurance verification. We have a track record of assisting insurance companies in cross–checking facts, procedure available and organizing ruling, etc. thereby making decision making process easier. - Receive schedules of patients via, email, secure FTP or check them every day in the appointment scheduling module of the practice management system. Banks and financial institutions are extensively lending to two & four wheeler vehicles by creating hypothetation charge on vehicles with RTO. Since RC/TC book always remains with borrower, It is necessary to take certificate from RTO on annual basis to ascertan banks charge on the vehicle financied. We arrange to procure such certificate from RTO office for banks.